What do you know about the LGBTQ+ community of Russia? First and foremost, you’ve probably heard of the challenges it faces: homophobia, violent attacks, and state oppression, news of which often finds its way into the mainstream international media. You might also know about the ‘gay propaganda law’, which was put into place in 2013 to eradicate the representation of LGBTQ+ people from the media, culture, and public space. One might wonder: what’s it really like to be young and queer in Russia today? What does its queer community look like? And does it even exist? The truth is, Russian queer youth doesn’t merely exist – in the last few years, it’s created safe spaces, and subsequently been given the chance to truly blossom. Within the oppressive context, queer communities often create their own reality, which is completely separate to that of the establishment. Historically, these expansive worlds – often invisible at first glance, should you not know where to look – were born within clubs. For decades, dance floors have provided a liberating and emotional shared experience, and a space for the political expression of queer pleasure. 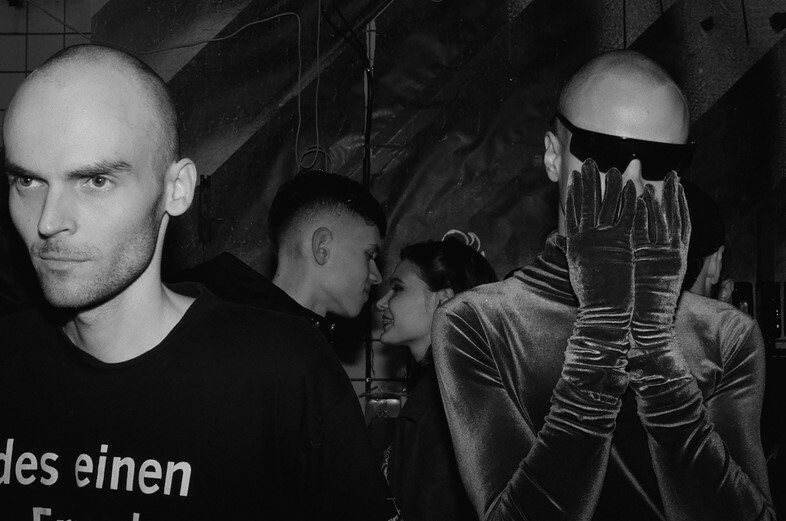 In Moscow and Saint Petersburg, the new wave of LGBTQ+ parties is much more than just nightlife business or hedonistic pastime. It allows Russian queer youth to create a community, both locally and globally, and gives them a stage on which to shine – in all their fearless beauty. In clubs across Russia, a new era of queer culture is manifesting, spearheaded by the emerging generation. Egorov-Kirillov started Popoff Kitchen two years ago following a trip to Berlin and now runs it alongside Sergey Nesterenko. 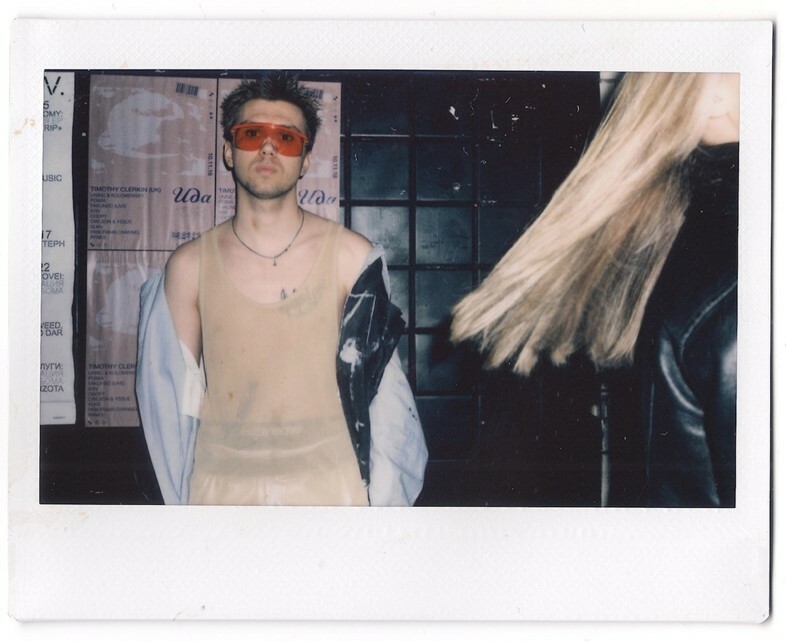 Striving to create the same explosive mix of techno and sexual liberation for the Moscow gay crowd, he ran the first Popoff Kitchen as a small, friendly gathering for only about 60 people. It grew quickly: the most recent XXL party in November saw a crowd of 800 people across three dance floors in a former factory building. Having already collaborated with a long list of established queer collectives, including Stockholm’s Cafe Polari, Tel Aviv’s Kok Schok, and Paris’s Bizarre Love Triangle, this time around was the turn of cult Berlin night Herrensauna. But how safe are those spaces exactly? And how much courage and secrecy does it take to bring together a few hundred youngsters to dance, sweat, and enjoy love which doesn’t fit into the mould of the patriarchal order? Russian authorities are notorious for unpredictably lashing out towards cultural initiatives, and have shut down countless raves, hip hop concerts, and even art exhibitions. Saint Petersburg LGBTQ+ film festival Side by Side, for instance, had numerous problems with bomb threats and interventions by conservative politicians. The queer parties springing up across Russia, however, seem to be off the radar for now, as long as they comply with the rule of being open to over-18s only. Locations and times are not kept secret either, although Popoff Kitchen’s Egorov-Kirillov alludes to a tactic that has seen him promoting his parties as culinary events. “From time to time I have to reply to people who ask how many dishes there will be at the dinner, and tell them that there will be no food at all,” he laughs. 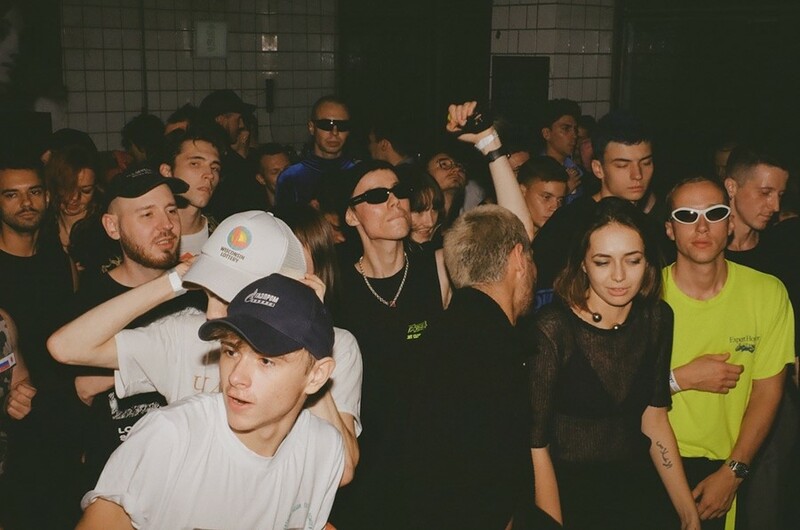 For queer Russian youth, nightlife is one of the ways to connect to the global LGBTQ+ culture, but online and offline goes hand in hand here: being more informed and aware of the queer culture worldwide makes them more confident and daring. Creating a Russian language queer space online is also a crucial step – and long overdue. Last month, Dmitry Kozachenko and Sasha Kazantseva launched O-zine, an online magazine about Russian queer culture. A self-funded initiative, O-zine aims to portray all the complexity and beauty of the queer experience in Russia, study its erased history, connect and inform, and simply state ‘we exist’. The magazine often features photo reports from queer parties, given its founders are fully immersed in the scene, and know all its ins-and-outs. The O-zine founders have plans to launch their own night in the upcoming months, though. “We will have drag performances, voguers and techno DJs. It’s going to be a place for everyone – gay, lesbian, trans, non-binary – to have fun and feel comfortable”, says Kozachenko. Queer nightlife in Russia is certainly about finding freedom and creating a place for sexual expression, but often it’s also about trying to make a bigger difference to society. Popoff Kitchen recently started collaborating with the Aids.Center, a charity dedicated to educating people about HIV, and working with those that contract it. At their parties they have a special area where people can get tested, get advice, and pick up contraceptives. Queer events in Russia go beyond ‘party’. More often than not, they offer an inclusive environment which encourages free-thinking and brings together a diverse group of people passionate about challenging the status-quo. “In today’s Russia, parties, events, and festivals organised by various activists are probably the most important,” says DJ, artist and feminist activist Lolja Nordic. “For instance, feminist Bella Rappoport and LGBTQ+ activist Boris Konakov have been organising small queer-fem discos at Yus-Yus bar, and this summer I started co-organising GRRR parties with a few women prominent in the young feminist community. We create a safe space and state that we don’t tolerate harassment and discrimination. All the money we earn from the entrance fee we give to charities which help women”. Parties in today’s Russia are definitely a political matter. Yes, they offer a few hours of escapism on a sweaty dance floor, but they are also a space in which a new generation of open-minded individuals attempt to create a more free, accepting, and beautiful world. This world might enrage the authorities, or seem like a far-fetched utopia to some, but for the queer Russian youth, it’s the future they want for themselves – and one they’re prepared to fight for.